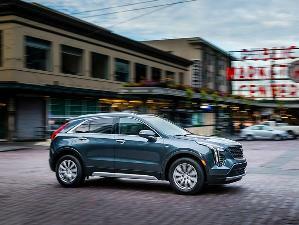 The popularity of SUVs today means there are lots of choices at a wide range of price points. Some SUVs are designed to appeal to those on a tight budget, while others are luxury vehicles with all the amenities and matching high price tags. Then there are the SUVs that fall in the middle of the pack. These appeal to buyers who want a good range of features and capability without being bargain-basement cheap or sky-high expensive. Here are 10 SUVs under $35,000 that are worth checking out. 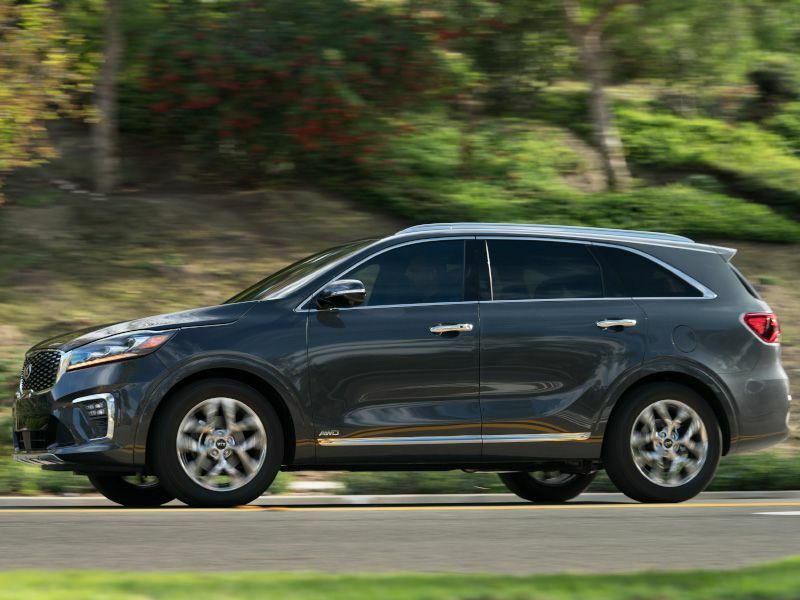 The 2019 Kia Sorento is a three-row SUV with room for seven passengers. This year it gets updated styling, improved transmissions for a smoother ride, and a more upscale interior. There’s a choice of two engines, with even the more powerful V6 within reach for under $35,000 in the LX trim. Kia packs in the features, which makes the Sorento an appealing choice. The base L with front-wheel drive includes a tilt and telescopic steering column, automatic folding second row, and a 7-inch infotainment system with Apple CarPlay and Android Auto at a starting price of only $25,990. Upgrade to the LX V6 at $31,290 for more power and added safety features, with all-wheel drive available for an additional $1,800. 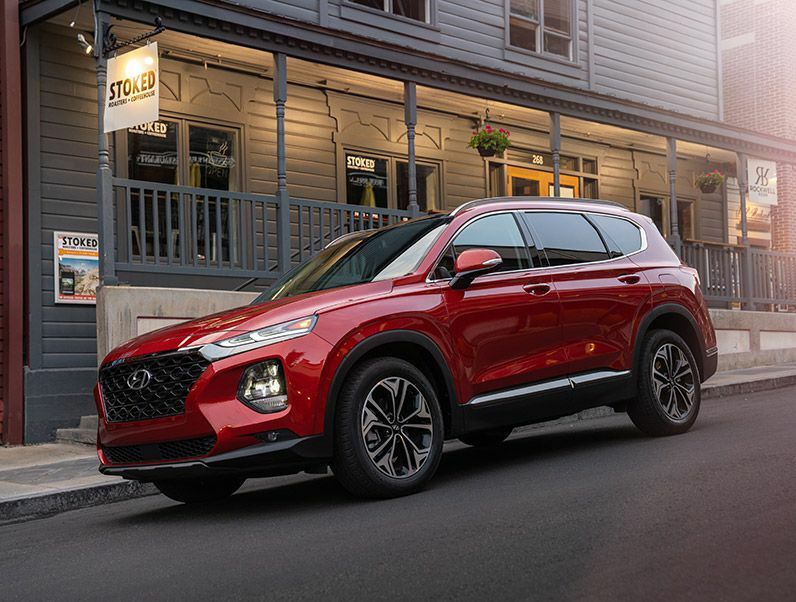 The 2019 Hyundai Santa Fe, previously known as the Santa Fe Sport, is all-new this year. This two-row SUV has room for five passengers with a starting price of only $25,500 for the base SE. Front-wheel drive is standard, but all-wheel drive is available on all seven trims. Standard features include tilt and telescopic steering column, 7-inch infotainment screen, Apple CarPlay, and Android Auto. The Santa Fe also has extensive standard safety features. 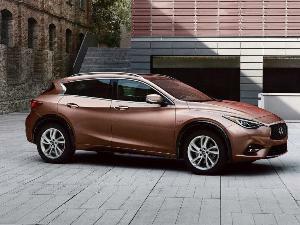 These include forward collision avoidance assist with pedestrian detection, driver attention warning, blind spot warning, rear cross-traffic alert, and safe exit assist. Most of the lineup comes in under $35,000 so only the top few trims are excluded, even with the addition of all-wheel drive. 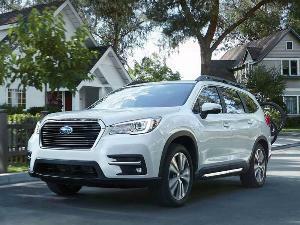 The 2019 Subaru Ascent is an all-new model that finally adds a three-row SUV to the Subaru lineup. It’s available with seating for either seven or eight passengers, and comes standard with all-wheel drive and 8.7 inches of ground clearance for your off-road adventures. There’s also standard X-Mode with hill descent control to further improve handling during rough road conditions. 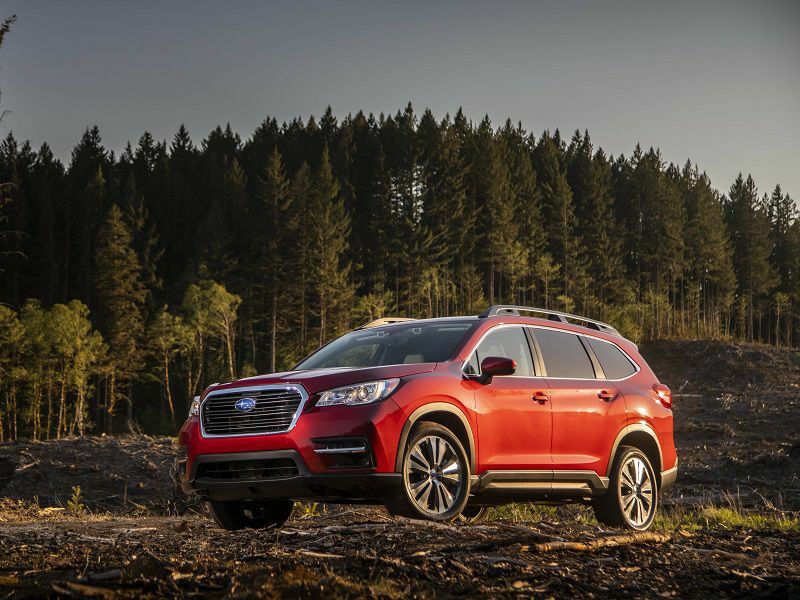 The Ascent comes with standard EyeSight, which includes adaptive cruise control, pre-collision braking and throttle management, lane departure warning, and lane keep assist. It also features EyeSight Assist Monitor with a head-up display. The base Ascent is priced at $31,995, or you can move a step up to the Ascent Premium for $34,195. 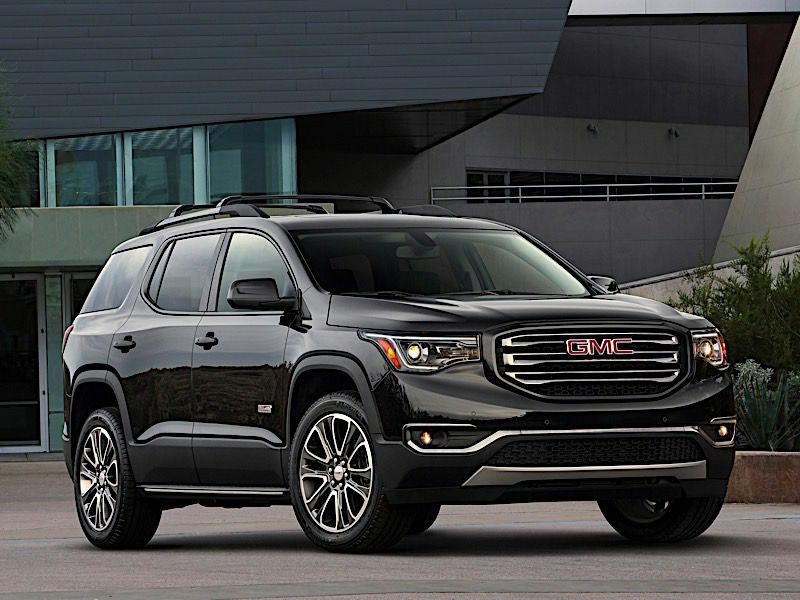 The 2019 GMC Acadia is an upscale SUV with three rows and room for up to seven passengers, with pricing that starts under $35,000 for front-wheel drive models. The base SL starts at $30,195, with standard features including a leather-wrapped steering wheel, tri-zone automatic climate control, and 7-inch infotainment screen. It also comes standard with rear seat reminder, so you don’t forget to check the rear seats, and teen driver, which helps coach new drivers toward safer driving habits. The SLE trim starts at $33,995 and adds SiriusXM, LED signature lighting, compact spare tire, and carpeted floor mats. It also has expanded available features, but those packages take the final price over $35,000. 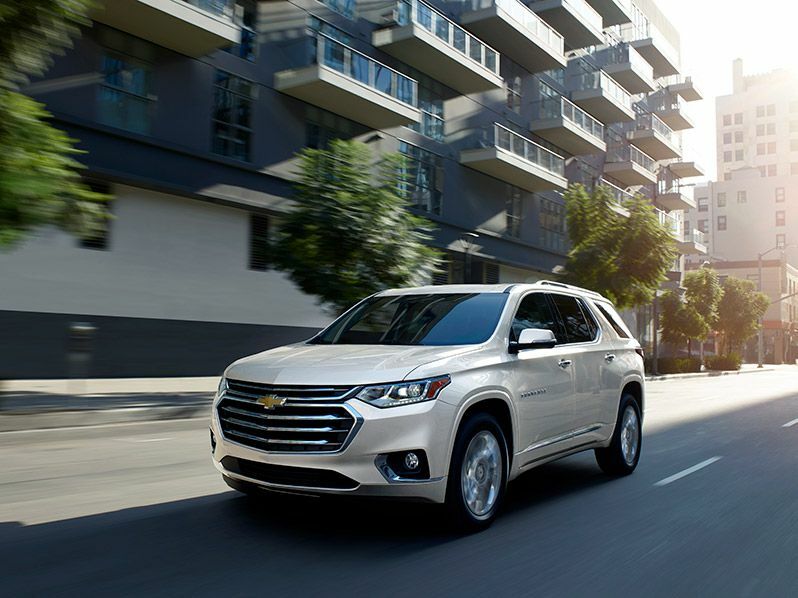 The 2019 Chevrolet Traverse is a three-row SUV with room for up to eight passengers and a range of six trims. It comes standard with a 3.6-liter V6 engine with 310 hp and 266 lb-ft of torque paired to a 9-speed automatic transmission, and it can tow up to 5,000 pounds properly equipped. The base L starts at $31,125, with standard features including six USB ports, tri-zone automatic climate control, 7-inch infotainment touchscreen, Apple CarPlay, and Android Auto. The LS starts at $34,095 and adds standard tinted glass along with the availability of larger tires, splash guards, all-weather floor mats, and a cargo net. All-wheel drive is available starting with the LS trim, but it bumps pricing over the $35,000 mark. 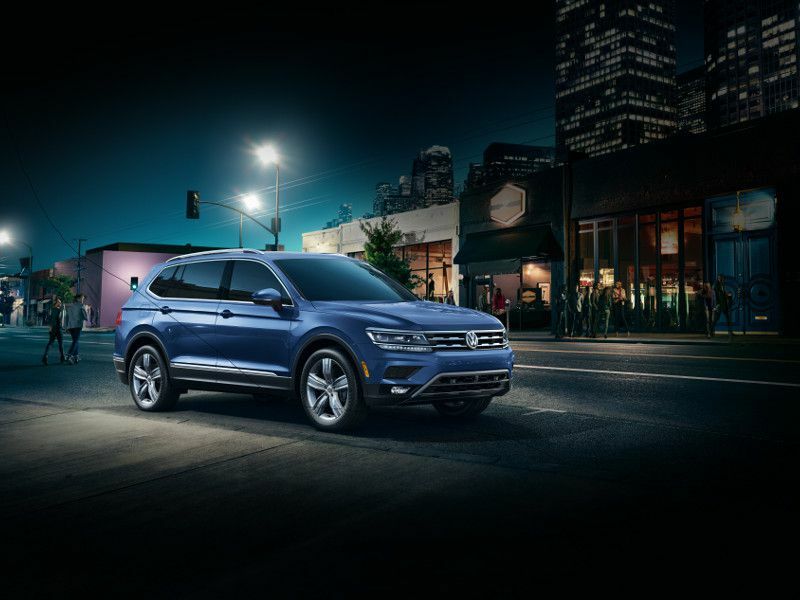 The 2019 Volkswagen Tiguan is available with either two or three rows, offering room for up to seven passengers in six trims. There’s standard front-wheel drive, with available all-wheel drive that becomes standard on top trims. 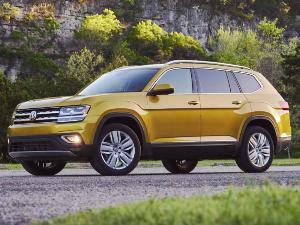 Pricing on the base Tiguan S starts at only $24,495. Even equipped with all-wheel drive, the first four trims in the lineup fall under $35,000, which gives you plenty of room to find the Tiguan with the features you want at a price you can afford. Standard features include a 6.5-inch infotainment touchscreen, Bluetooth connectivity, and power heated side mirrors. An 8-inch touchscreen, blind spot monitor, front assist, adaptive cruise control, and remote start are available on higher trims that still fall under $35,000. 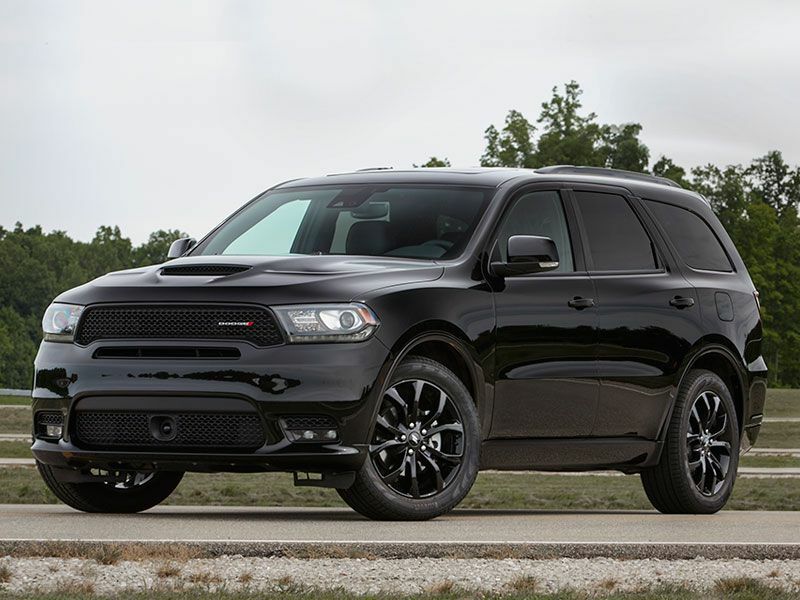 The 2019 Dodge Durango is a full-size SUV with either two or three rows of seating and room for up to seven passengers. The five-trim range includes the performance-focused SRT, but it’s priced well over $35,000. The base SXT, however, comes in at $29,995 (or $32,595 with all-wheel drive) and can tow up to 6,200 pounds. 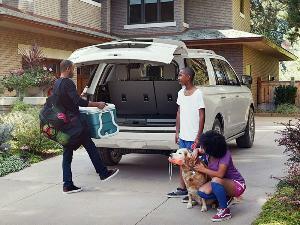 It has a roomy interior with 17.2 cubic feet behind the third row, 43.3 cubic feet behind the second row, and 85.1 cubic feet behind the first row. Standard features on the Durango include three-zone automatic climate control, leather-wrapped steering wheel, and a tilt and telescopic steering column. Base infotainment includes a large 7-inch touchscreen. 6-speaker audio, and two USB ports. 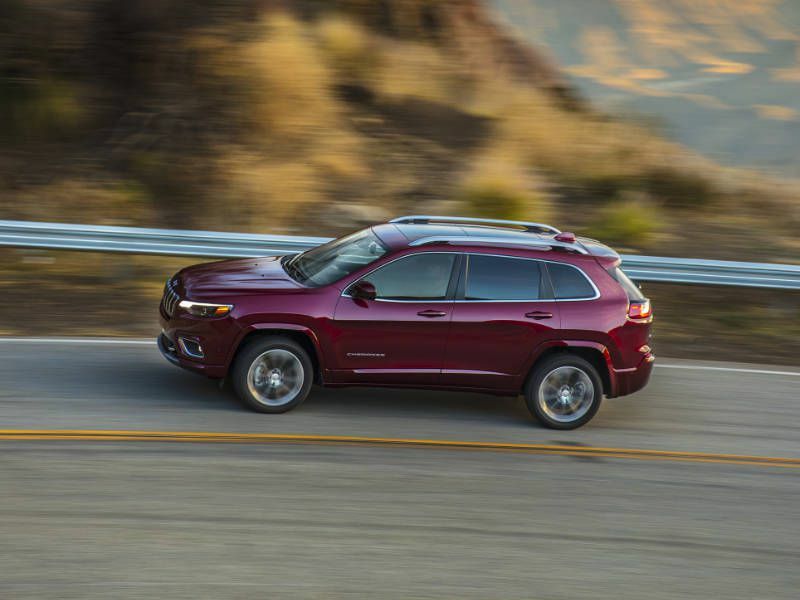 The 2019 Jeep Cherokee offers seating for five passengers along with Jeep’s famous capability. The wide range of trims starts with the Latitude at $24,240 with front-wheel drive, or $26,740 with four-wheel drive. The entire trim range comes in under $35,000 except for the top two trims, which narrowly miss the cut. You can get an incredibly well-equipped Cherokee with four-wheel drive and stay on budget. Standard features include power heated side mirrors, roof rails, and a 7-inch infotainment screen. Additional standard features on select trims include power liftgate, leather seats, heated and power-adjustable front seats, 8.4-inch infotainment touchscreen, blind-spot monitoring, rear cross traffic alert, remote start, and a universal garage door opener, all at under $35,000. 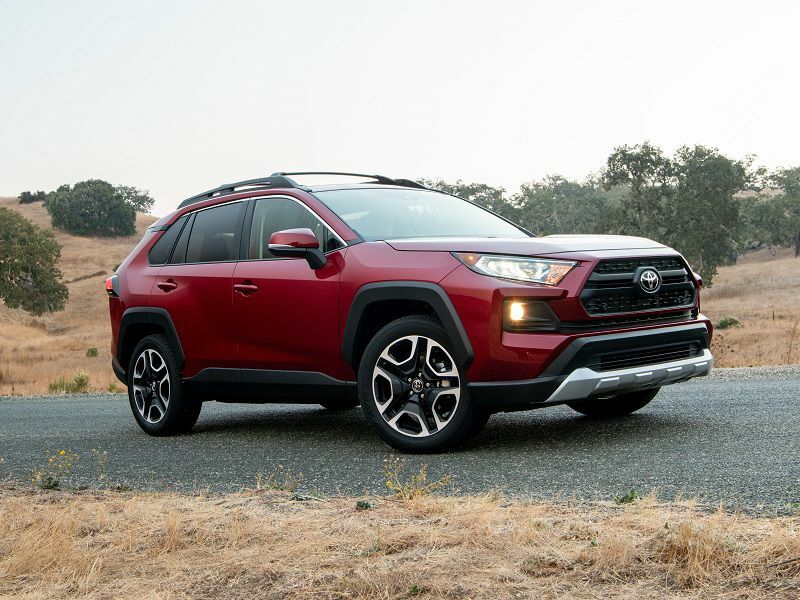 The 2019 Toyota RAV4 is all-new this model year with room for five passengers and impressive standard safety. Gas-powered variants offer a choice of front-wheel or all-wheel drive, with every single one priced under $35,000. The base LE starts at $25,500, while the Limited tops the range at $34,900. Hybrid models come with standard all-wheel drive and only the top Limited exceeds our price range, but just barely, at $35,700. In addition to a wide range of standard and available amenities, the RAV4 comes with standard Toyota Safety Sense 2.0. This includes pre-collision with pedestrian detection, full-speed dynamic radar cruise control, lane departure alert with steering assist, automatic high beams, lane tracing assist, and road sign assist. 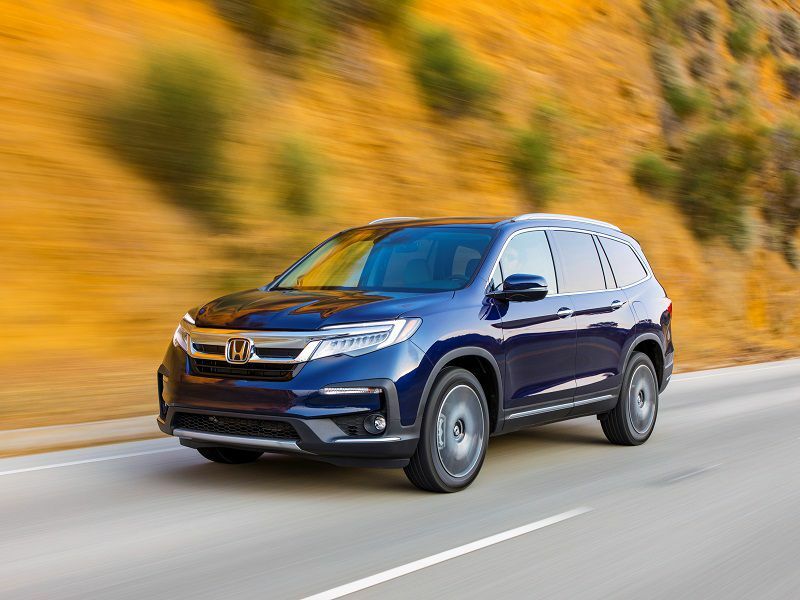 The 2019 Honda Pilot sports a refresh this year that includes a refined powertrain and new standard safety. 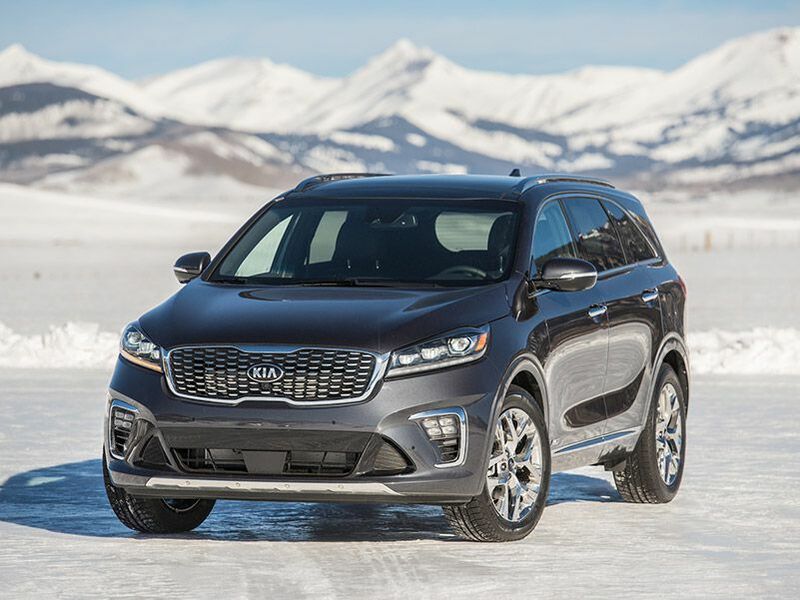 This three-row SUV has room for up to eight passengers, with a choice of front-wheel or all-wheel drive. The base LX starts at $31,450 with standard features including a power tailgate, tilt and telescopic steering column, and 5-inch infotainment screen. The EX starts at $34,330 and adds an 8-inch color touchscreen with Apple CarPlay, Android Audio, and SiriusXM. Standard on every Pilot is the Honda Sensing suite of safety features. It includes collision mitigation braking with forward collision warning, road departure mitigation, lane keep warning and lane keep assist, and adaptive cruise control.